Although many parts of the stock market have lost money in the past few years, for the past 70 years micro cap stocks have gained money. In fact, they are up by 179%! Micro cap stocks have out competed gold, treasuries and real estate, as well as all other types of investments in the stock market. It outperformed gold by a 374 to 1 margin. More than just the stock market, micro stock has proven to be an even more successful investment than single family housing prices by a 184 to 1 margin. Chuck Hughes has been micro investing for more than thirty years. He believes that micro cap stock should be a part of every investor’s portfolio. This table shows different types of investments over the last 70 years. The returns on investments for stocks, particularly micro stocks were higher than any other form of investing, including treasury bills, gold, treasury notes, corporate bonds, home prices and the S&P 500 index. Chuck Hughes has found that micro cap stock consistently outperforms small cap stock; small cap stock consistently outperforms mid cap stock; mid cap stock outperforms large cap stock; and large cap stock outperforms mega cap stock. Investment returns are higher for micro cap stock than any other kind of stock. Micro investing can be a great way to create large profit opportunities, even if you don’t have a lot of funds to trade with. Although profit opportunities are high, itis hard to find good information on how to trade micro cap stocks. There are a lot of people that claim to be “experts” at trading these types of stocks, but you should do your research and obtain the advice of someone who has many years of experience. Chuck Hughes has experience in micro investment. Through the many years of micro trading, he has compiled this knowledge along with his opinions on successful micro cap trading. With the right micro cap stock recommendations, you can discover large profit opportunities and achieve high profit gains from micro investing. There has never been a better time to invest in the stock market using Chuck Hughes’ micro cap recommendations. 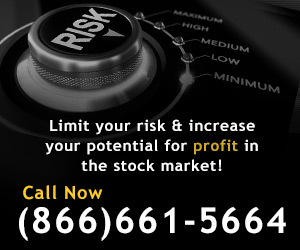 Learn how to trade micro cap stocks with Chuck Hughes by calling (866) 661-5664 or email him below. What are Micro Cap Stocks? The micro cap stock market is comprised of public companies in the United States that have a market capitalization between $50 million to $300 million. This type of stock is usually lower priced and traded in lower volumes as compared to large cap stocks. Micro cap stocks are not penny stocks. Penny stocks are stocks that trade for less than $5 per share. Penny stocks are not listed on national exchanges, whereas micro cap stocks can be traded on the major stock market exchanges. Micro stocks and penny stocks are managed and regulated differently. Penny stocks are risky and are often associated with ‘get rich quick’ schemes. Small cap stocks reside in the small cap stock market. It is comprised of public companies in the United States that have a market capitalization between $300 million and $2 billion. Small cap strategy involves a different type of investing strategy than penny stock strategy and micro cap stock strategy. Why Should You Trade in the Stock Market Using Micro Cap Stock Strategy? Micro trading provides an excellent investment opportunity because they don’t get attention from Wall Street analysts or institutional investors. When a large institution or mutual fund decides to invest in stock, most of the time they buy $30 to $70 million or more of the stock. If funds were to purchase this amount of micro cap stocks, a large percentage of the shares would be taken. Securities regulations prohibit one firm or person from buying a large percentage of one stock. Therefore, large firms generally don’t go near micro cap stocks. Also, many mutual funds are restricted from owning stock that is priced at less than $5 per share. This restriction limits most mutual funds from investing in micro cap stocks. With their small market capitalizations, micro cap companies are just too tiny to attract the attention of Wall Street institutions and news media. That’s why you can make so much money investing in the micro cap stock market with Chuck Hughes! Call today at (866) 661-5664 to receive stock trading recommendations or email Chuck below to learn how to get into the micro trading market. Micro stock can sell for under $5. This means you can become a micro cap stock trader with only a small amount of money invested. Anyone can do it! And with the help of Chuck Hughes’ micro cap trading strategies, you can win big with only investing a small amount of money. There has never been a better time for investors to profit from global market trends than now. There are currently major bullish and bearish trends in effect in global currencies, commodities and equities. That means stocks are cheap! A big draw to micro trading is the leverage that it provides. Because of the volatility of micro cap stocks, small price changes can result in large profits. For example, if you traded a micro cap stock at $0.10 per share, a $0.01 increase would result in 10% gain. If it moves to $0.20 per share, you would have doubled your money. Even though micro cap trading can produce large financial gains, it can also work the other way. Because of this, it is very important that you have the tools, knowledge and advice to benefit from investing in this market. Luckily for you, Chuck Hughes is just the person to teach you micro trading strategies. Before you dive into the stock market, make sure you have the skills to win big. Call Chuck Hughes today at (866) 661-5664 to receive micro cap stock strategy or contact Chuck to get more information about stock investing strategies. Why Use Chuck Hughes’ Micro Cap Trading Strategies? Chuck Hughes has been making money by micro trading for more than 30 years. His micro trading strategies are used by financial advisers, business leaders, professional investors, and wealthy individuals around the world. He’s written numerous books and courses, and has helped thousands of individuals achieve financial independence. Chuck is considered one of the most trusted financial mentors in America because he truly walks his talk like no one else. He has a loyal following of students from all walks of life, who revere him for his authenticity, his experience, his leadership and his honor. Chuck Hughes is an 8-time winner of the same live-trading competition that made Larry Williams famous back in the ‘80s. In fact, he’s taken 1st place more times than anyone else in the 30-year history of Trading Championships. Chuck Hughes’ micro investing recommendations have made members double and triple-digit returns EVERY SINGLE YEAR for more than 14 straight years… even during the worst years in history. During the 2000 “tech wreck”, when the S&P 500 plummeted from 1500 to 800, Chuck Hughes’ micro cap investment services made $1,244,575.20 in profits for its members. In 2008, during the worst financial crisis since the great depression, the Chuck’s advisory accrued $473,311.04 in profits. By using Chuck Hughes’ micro trading strategies, you can make money in good times and in bad times. Current open trade profits for Chuck Hughes’ investment trading strategy are below. Chuck’s total profit was $283,128.30 and his average gain was 141.5%. These results prove that it is possible to create profits in tough economic stock markets using successful micro cap trading recommendations. 1. Define the precise amount of risk on any trade before you enter into it. 2. Reduce or even eliminate the stress normally associated with your trading. 3. Construct your trades so your profit potential is virtually unlimited. Chuck Hughes made $1,023,174.93 in actual profit in just 26 days! He’s won eight international trading championships and he’s willing to reveal his micro trading strategies to you! A lot has changed in the last year, and the pace is quickening. The economy is downright scary and it feels as if the whole global machine falling apart. The next 12 months are going to feel like a wild roller coaster ride. But for a few savvy investors, there is an opportunity to capitalize and make the fortune of a lifetime by using Chuck Hughes’ micro cap stock recommendations to invest in the micro stock market. Imagine what you could do with a million dollars!!! And as you’ll soon see, making that kind of money isn’t hard to do when you know where to look. There has never been a better time to start micro investing. If you would like to start learning how to trade micro cap stocks, email Chuck or call (866) 661-5664 and start making money today!